The interrelated issues analyzed in this book are as follows. With the integration of Europe, there are free movements in goods, services, short and long term capital, and direct investment. The German mark is the key currency in Europe and its value will affect the equilibrium bilateral exchange rates of the other currencies in the European Union. It is important to examine the following issues. What have been the fundamental determinants of the real value of the mark since the period of floating? What will be the effects of German integration upon exchange rates? How can we measure whether currencies are misaligned or if exchange rates are at their equilibrium values? Are short term capital flows destabilizing and, if so, should they be discouraged through a transactions tax? Under what conditions does the formation of a regional trading bloc help or hinder the liberalization of world trade? What are the determinants of foreign direct investment made by multinational enterprises? There is a unity to this book. 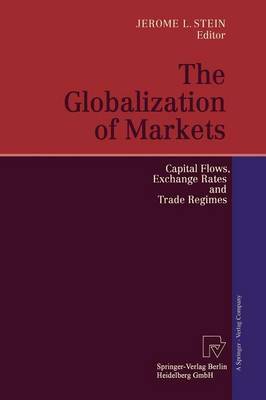 The authors are senior scholars who approach the subject from the theoretical, policy oriented and econometric points of view. Jerome L. Stein Contents JAMES TOBIN A Currency Transactions Tax. Why and How CHARLES A. GOODHART Discussant to Professor J. Tobin. . . . . . . . . . . . . . . . . . . . . . 7 JEROME L. STEIN and KARLHANS SAUERNHEIMER The Equilibrium Real Exchange Rate of Germany 13 PETER B. CLARK Concepts of Equilibrium Exchange Rates . . . . . . . . . . . . . . 49 G. C. LIM A Note on Estimating Dynamic Economic Models of the Real Exchange Rate. . . . . . . . . . . . . . . . . . . . . . . . . . .